Cool collage of a very cool bird. Thanks for sharing. Lovely photo, and great advice. 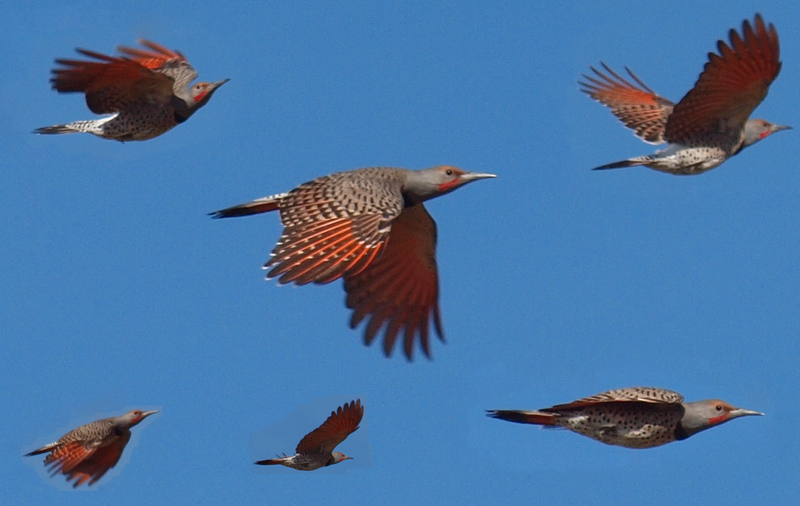 Wonderful collage of in-flight Red-shafted Nothern Flickers! Their feathers are stunning. I've only seen Yellow-shafted Northern Flickers before, so it's especially enjoyable to view your terrific images. Awesome! Very jealous! They are beautiful. Thanks for sharing. 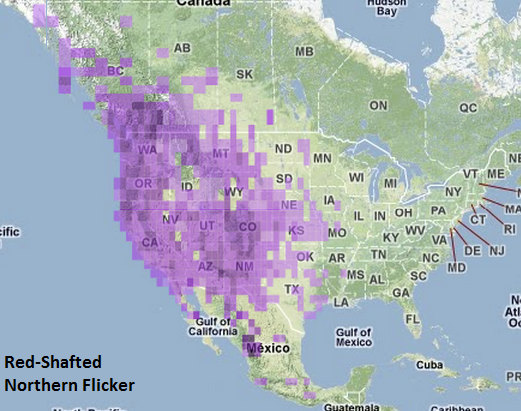 I believe that most of the "Yellow-shafted" Flickers on the West Coast are likely misidentified intergrades. 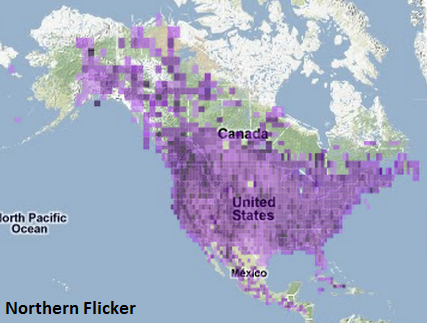 The birds that breed in the area of overlap (Alberta?) 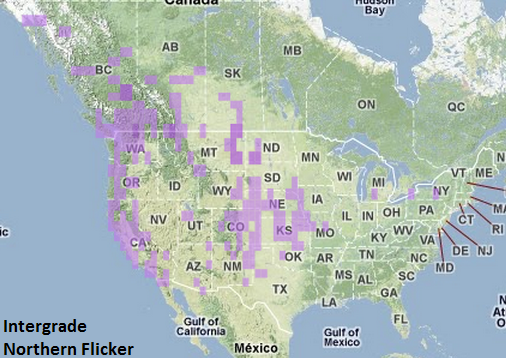 seem to winter in the Pacific NW and likely California, too. i found a wing feather on a hike up suicide creek in Mission BC i had to go online to find out what this vibrant feather belonged to, i thought it was fake.